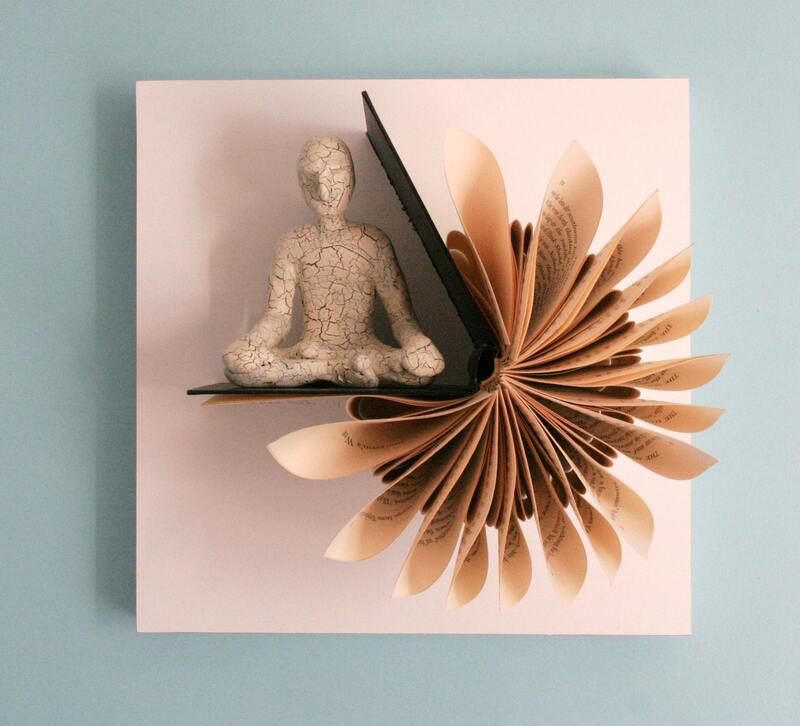 Creativity for repurposed books strikes again. Daniel Lai with Kenjio has been playing and experimenting with folding book pages since he was a kid in school, and lucky for us he did! This piece below would be great in a meditation space if you happen to have one. I think the figure is quite calm and confident in his pose. A big blog hug to Ann Martin at All Things Paper who shared her recent discovery of Daniel’s work – you’ll definitely want to visit and check out some of her great tutorials. Late addition: That Clever Clementine also led me to more book works of art in Scotland. Enjoy! That Clever Clementine – no, I hadn't seen those and thanks for the link. It was worth the time so I made a sub-note to the blog post. Thanks! 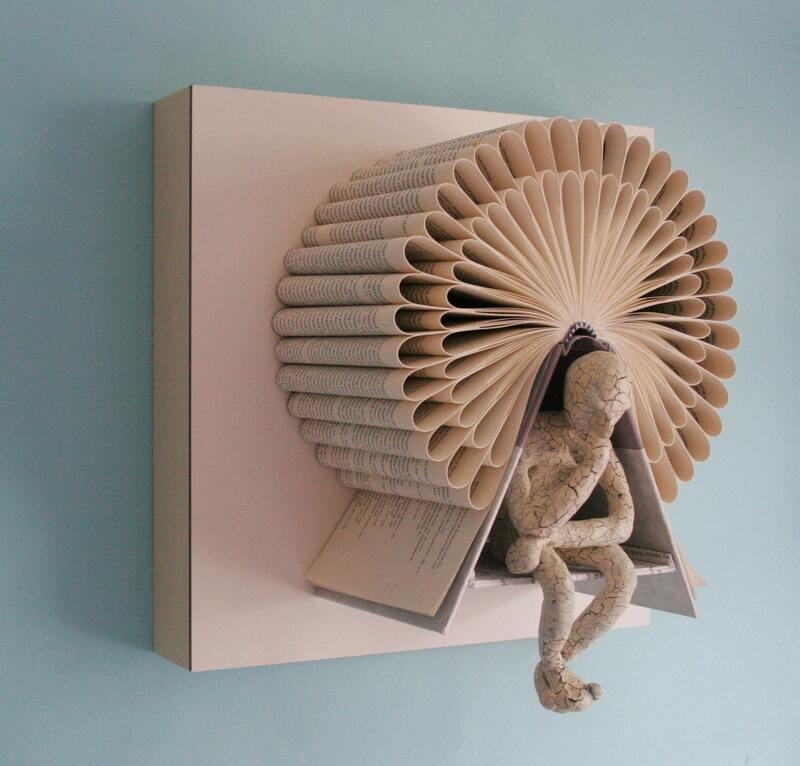 I've seen some wonderful sculptures made from book pages, but these are truly unique. Thanks for sharing. That is so cool. I'm in complete awe of both of these pieces.